I was listening to 張靚穎《我相信》(https://www.youtube.com/watch?v=3v0Bh14powI) and I thought… Is it possible to create a series of lessons based on pop songs? Perhaps you could translate the songs into English? Then explain the lyrics, talk about the singers and song writers, and then talk about their success and culture. There used to be a few series that were similar… such as Pete’s Poems, Dear Amber, and another lesson series based on popular songs we often see in karaoke bars. Is it possible to start up a fresh lesson series based on this if there is enough interest generated? I have been a proud Chinesepod user since 2005 !! They did some lessons about songs in the Beijing Standard Time show, although it didn’t really teach you how to sing the song. They used to have an entire series based on pop songs that I loved!! I hope they do it again!! Yes pop songs would be a great idea. 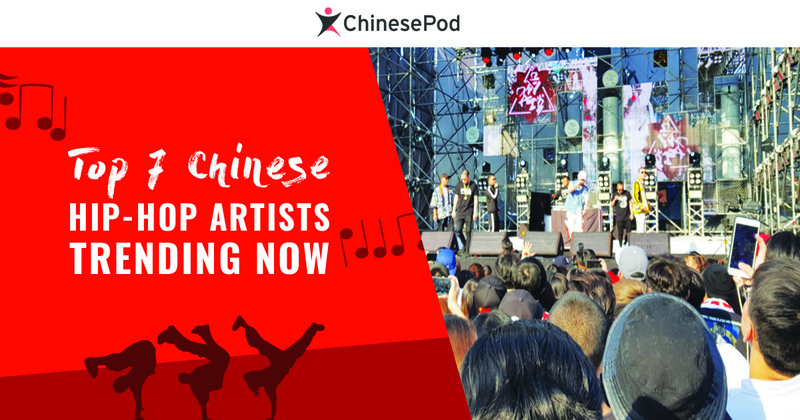 Who are the best Chinese hip-hop artists? I think Chinesepod should link the blog up on the main site! Not many people know where to look for it! I had to get on the Chinesepod Instagram to link this here. Great idea, Peggy, I second! KTV time was one of my favorite series. Movie Madness was really cool, too. 最近我被Soft Lipa唱的那首歌 “热水澡”洗脑了。Jolin Tsai的"呸"也难得不得了！C-Pod欢迎过来帮我们外国人更了解一下MandoPop最大的Hits and lesser-known, hidden gems. Also, I really like the recent focus on poems, such as 雨巷。These modern poems are easier for us to connect with than the classic poems from 1,000 years ago. Thanks to the C-Pod team for producing, time and again, such high-quality, entertaining and educational content. It’s awesome you’ve been on for about 12 years!!! Chinese is awesome!